Calling All Artists, Creatives, Handcraft Visionaries, and Makers! High quality items priced mostly under $100.00. 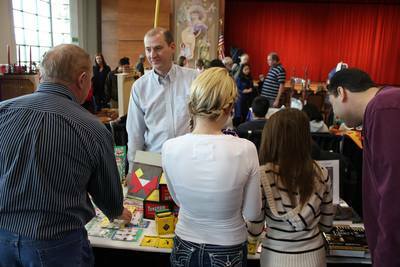 All kinds of creative products and gift items produced by local artists. 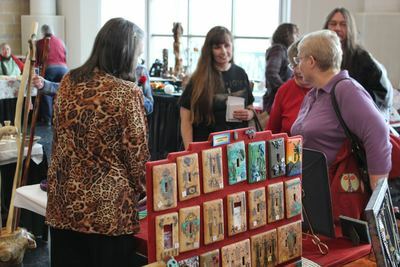 Imported art and hand crafted items, preferably when a direct connection to the artist/artisan can be made and communicated to the end-buyer. Hand crafted non-art goods such as: food (boutique chocolates, jams etc. ), personal spa products (soap, lotions etc. ), household items (baby slings, purses, bags etc.). 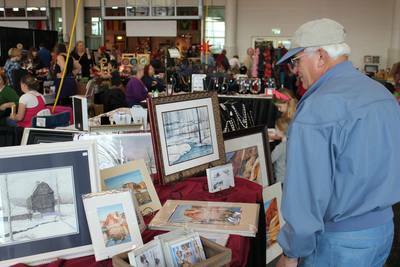 Both individual artisans and/or groups (booth sharing) will be accepted. The free concert series draws audiences of 200-400 people each night. The Trees of Diversity exhibit will be on display throughout the building. The Market will open at 5pm with concerts starting at 7pm. The Market will remain open until 9pm. Reserve your booth space now in order to sell your creative wares at the Holiday Market! The booth fee is just $50 per evening. Or sign up for all three weeks for $100. Two 6 ft. tables and two chairs will be provided for each vendor. Prepackaged food items are welcome! Do not send fee until you are notified of acceptance. Please select preferred date(s), or select "All Days" to participate in all events. Fulfillment of this application does not guarantee you a space or booth in the Holiday Market. Artists will be selected by a selection committee based on the quality and presentation of their products, creating a balance of diverse product and gift offerings for the overall market, and price-point. Artists will be notified of acceptance within 3 days of our receiving your application. ​DO NOT SEND FEE UNTIL YOU ARE NOTIFIED OF ACCEPTANCE.